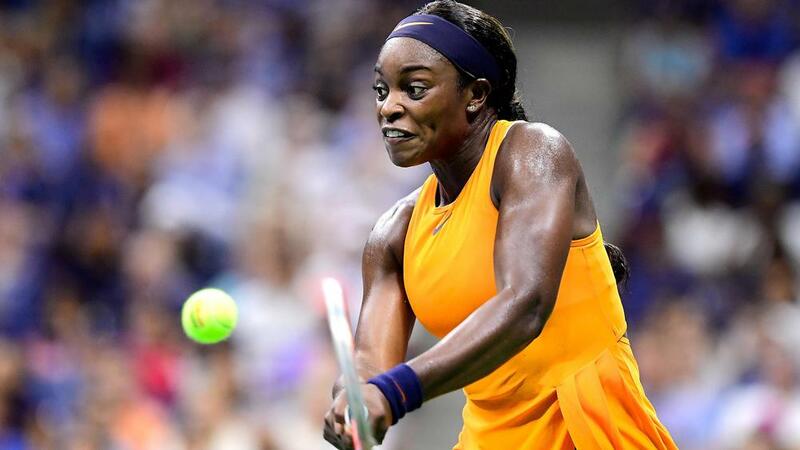 Sloane Stephens is not looking at this year's US Open as a defence of her title and is more motivated by the challenge of climbing the rankings. World number three Stephens beat fellow American Madison Keys in the final in New York last year to win the first grand slam of her career. The 25-year-old set up a quarter-final against Anastasija Sevastova by beating Elise Mertens 6-3 6-3 at Arthur Ashe Stadium Sunday. While Stephens overcame Sevastova at the same stage en route to glory in 2017, she does not feel the burden of being the titleholder due to the differing circumstances from 12 months ago and instead has another big goal in mind. "Defending a title isn't defending. If you were able to play the same people in a row again and beat all of them again, that would be defending your title," said Stephens. "When you're playing a whole new draw, different seedings, different ranking, there's so much that goes into it. When you go to a tournament, it starts all over again. "I try not to put too much emphasis on defending the title, just try to come in and win as many matches as possible – keep playing, keep going. "Obviously I want to get my ranking as high as I possibly can. Coming in here I was three. I want to keep going. Obviously from three, there's only two more spots to go. You've still got a lot of work to go. "That's exciting. It's something new. I've never had that type of challenge before. I think now it's something really cool, something to look forward to. "I'm excited about where my game is, about competing, about being on the court." It is a mentality Stephens has developed over the past week at Flushing Meadows, having felt the weight of expectation in her opening matches. "I think definitely in the first couple rounds I was super nervous. Not because I didn't know my game was there, it was because of the moment," she said. "You were here last year, you did something so great – what's going to happen now? "You can only focus on things you can control. Yeah, I'm nervous, but I can still move my feet. Yeah, I'm nervous, but I can still hit my serve over 60 miles per hour. There are things you can do to control the moment. "Focusing on those little things definitely helped me in the earlier rounds. I'm playing solid. I just have to keep that in mind, just try to keep going."